For months now, my social media, the news I consume and the shows I watch, have been impregnated with the stories of abuse of women, queer, non-binary and trans-folks. These stories are being broadly discussed in a time when, for whatever reason, #MeToo has reached historical heights, despite centuries of on-the-ground work by racialized women and the hashtag being created by a Black woman. The stories resulting from the movement range from and to anything imaginable, and while at the beginning it was permeated with the voices of white women, #MeToo has served as a platform for some racialized women, queer, non-binary and trans-folks, to explore their experiences at the intersections of sexual violence, misogyny, patriarchy and white supremacy. I did not even admit it out loud until many years later, while sitting with my best friend in our favourite breakfast restaurant. When I finally poured my heart out to her, her response to me was… “Me too.” To me that sole moment was a realization of how widespread gendered violence is among racialized women queer, non-binary and trans-folks’ personal relationships. More importantly, it really hit me how mainstream feminist spaces have marginalized racialized women, queer, non-binary and trans-folks who experience abuse. This includes questioning, how we can possibly call ourselves ‘feminists,’ or wanting to save us from Brown and Black cis-men in our communities, while protecting some other men and erasing the fact that white men are one of the main sources of colonial, gendered, military, emotional, and sexual violence for the rest of us. After that confessional session my best friend and I shared, many others followed. 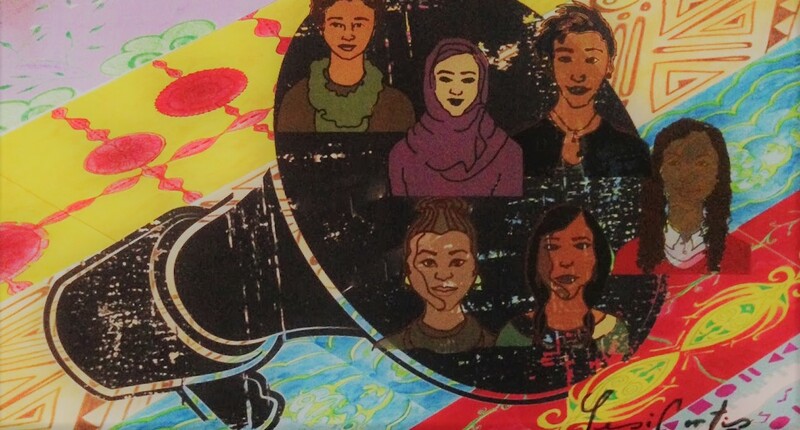 Some of the stories shared came from women, queer, non-binary and trans-folks involved with high profile cis-men in social justice circles, working in anti-racism, disability rights, anti-Islamophobia advocacy, Indigenous resurgence movements, etc. Many of these cis-men continue to be protected by both racialized cis-men and white people, including white women. Often times we are told, it is “for the greater good.” We then tend to find ourselves in settings working or interacting with known abusers, as if our safety did not matter, and at the expense of those who are survivors. This is not a matter of demonizing and cancelling all cis-men versus finding empathy and recognizing that neither healing nor relationships are perfect. But when trauma is given as an “excuse” for harm, we neglect to acknowledge that racialized women, queer, non-binary and trans-folks are seldom awarded the benefit of healing from their own trauma. Instead, they are usually re-traumatized and marginalized in their interactions with cis-men and institutions like the settler state. *Special thanks to writer @cocoazafreen and MMW’s @SobiaAF for their advise, edits and overall support in writing this piece.